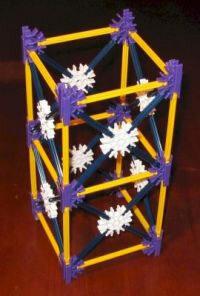 Classic KNEX is first-class for making strong 3D structures. 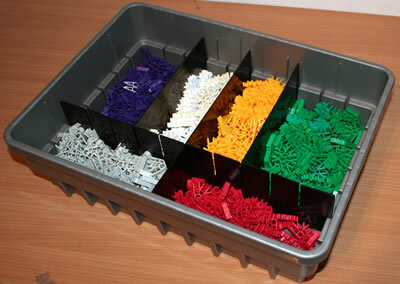 We would in most cases recommend using 3D connectors to make the corners, and a combination of red/yellow or yellow/blue rods to make the frame, as one or more cubes. One approach is to use four of the longer rods to make the square face of each cube, and four of the shorter rods to reinforce each face. The only exception to this approach is Bridge spans. We would recommend making each side of a bridge span with yellow connectors, red rods top and bottom, and yellow rods zig-zagging along in between (similar to the sword blade in Hint L2 - 2D shapes). The two sides can then be joined using red rods connected side-on to the yellow connectors. 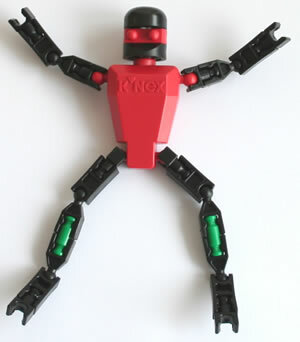 We would not recommend using 3D connectors in a bridge span, because the bottom of a bridge span is in tension, and the connectors may pull apart. 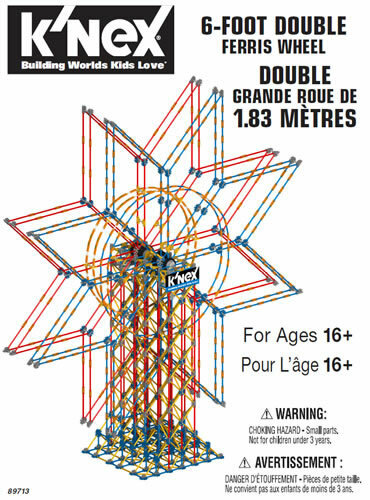 Note that both of the above approaches make use of the fact that triangles give great strength to structures. This is because any downwards force on the top point of a triangle is spread down the two sides, and ends up as a lengthways force on the bottom rod.